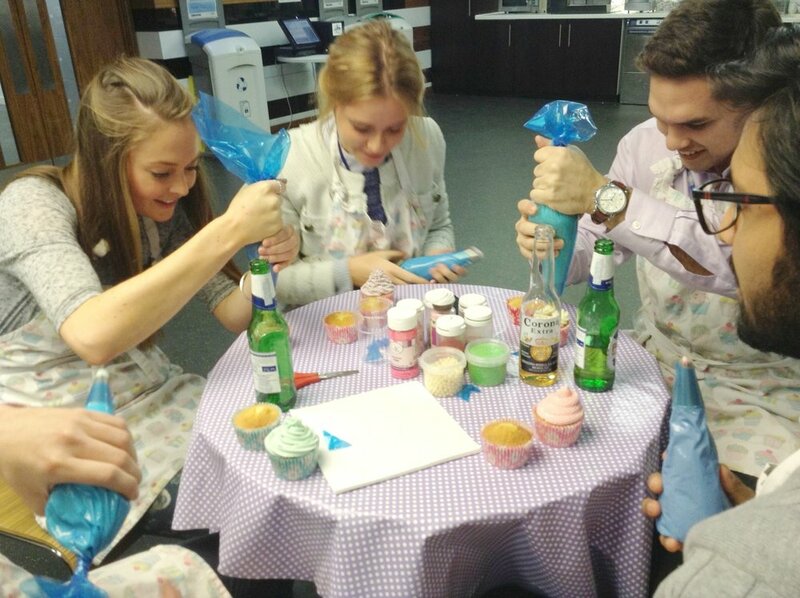 Our cupcake decorating workshop was the perfect activity for Capgemini's fresher week entertainment. The new recruits had been working hard getting to know the ins and outs of the company operations. So they were well and truly ready to have a few drinks and unwind whilst learning a fun new skill at this company event. They really enjoyed the cake making workshop and were thrilled with their results. We covered everything that we would do in a beginners cupcake decorating class. They soon got the hang of the buttercream piping techniques. As you can see they had really bonded over the buttercream and delicious cakes. They were soon laughing and giggling like old friends whilst enjoying a couple of drinks. It was a really fun team event and a lovely way to welcome the new recruits. I'm sure doing such a fun networking event really helped the new freshers settle into the company quickly and easy.